Using augmented reality technologies to make science more accessible and fun for children and adults alike is the mission of Curiscope, the startup founded by Brighton-based Ed Barton and Ben Kidd. 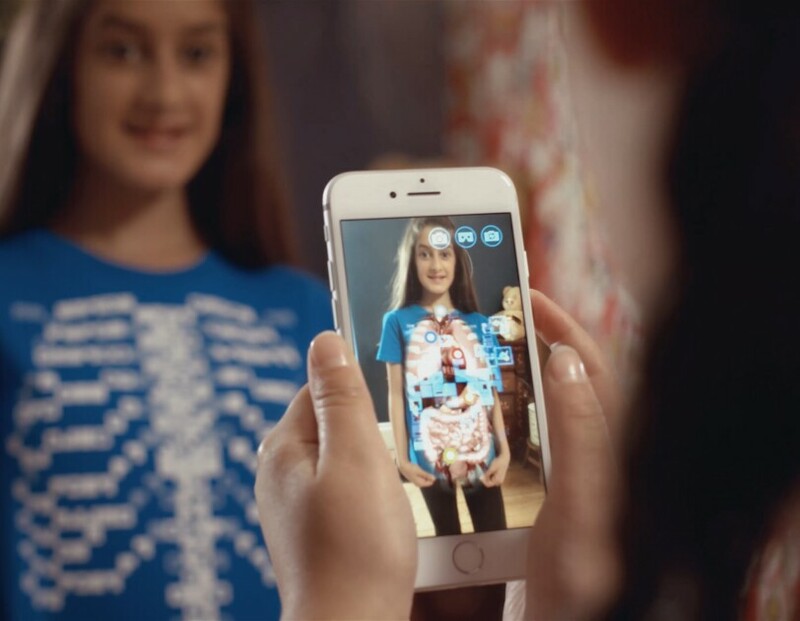 Thanks to Amazon Launchpad, Curiscope is making kids all over the world fall in love with anatomy through its interactive t-shirts. At first sight, a Virtuali-Tee looks just like another t-shirt. However, its colourful design is decorated with little QR codes tactically placed to resemble a human ribcage. 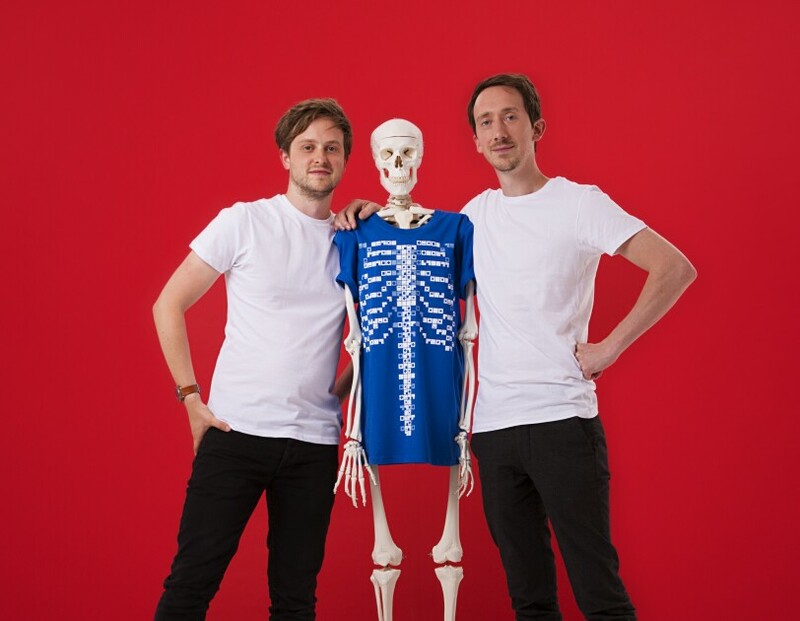 Aided by the camera lens of a smartphone or a tablet, the true magic of the Virtuali-Tee is revealed through the Curiscope app, allowing viewers to get quite literally under the skin of the t-shirt wearer. 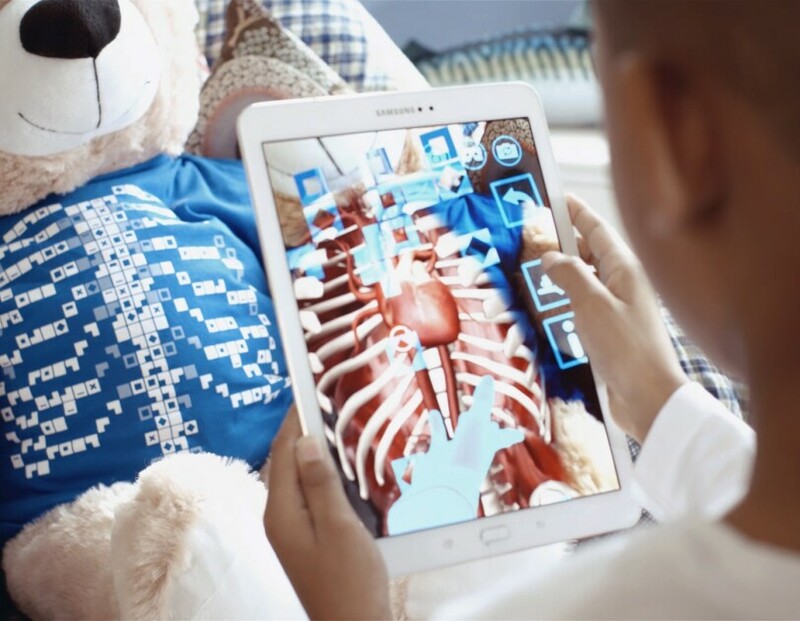 This cool new technology allows children to explore their own anatomy with various degrees of interaction, such as zooming in on the 3D image of their beating heart to discover how it works. It’s like an x-ray vision gadget from a 60s sci-fi novel, only sleeker, modern and in the shape of a t-shirt with an app designed for kids (and curious adults, too). ‘Magic’ is a word Ed uses a lot when it comes to describing the essence of Curiscope and, in general, of virtual and augmented reality (VR and AR). And perhaps it was a sprinkle of magic that brought Ed and cofounder Ben Kidd together in the same advertising agency 10 years ago. They shared a fascination with virtual reality and the desire to eventually build a company of their own. Their professional paths crossed several times before the right idea came along. Ben had produced a 3D video that allowed viewers to virtually dive inside a car engine and discover how it works, an experience designed to inspire the next generation of engineers. “There was something different about it, it was exciting. It made you want to become an engineer,” Ed recalls. The second spark came as they were working together on a VR project for a renowned automotive brand. Their video recreated the adrenaline of a lap around the racing circuit of Le Mans, in France. It quickly went viral, capturing the attention of technology companies like Samsung and Google and attracting millions of users that had probably never heard about mixed reality before, but who loved the experience. 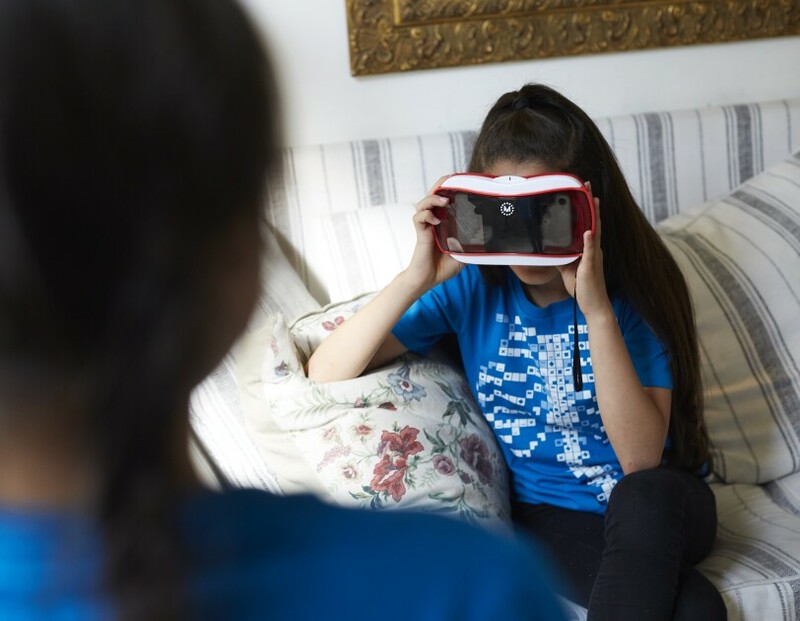 For Ben and Ed, it was an eye-opener: not only had VR the potential to become a powerful learning aide – it could also go mainstream. Ed and Ben keep working on inventions to help children across the globe fall in love with learning. 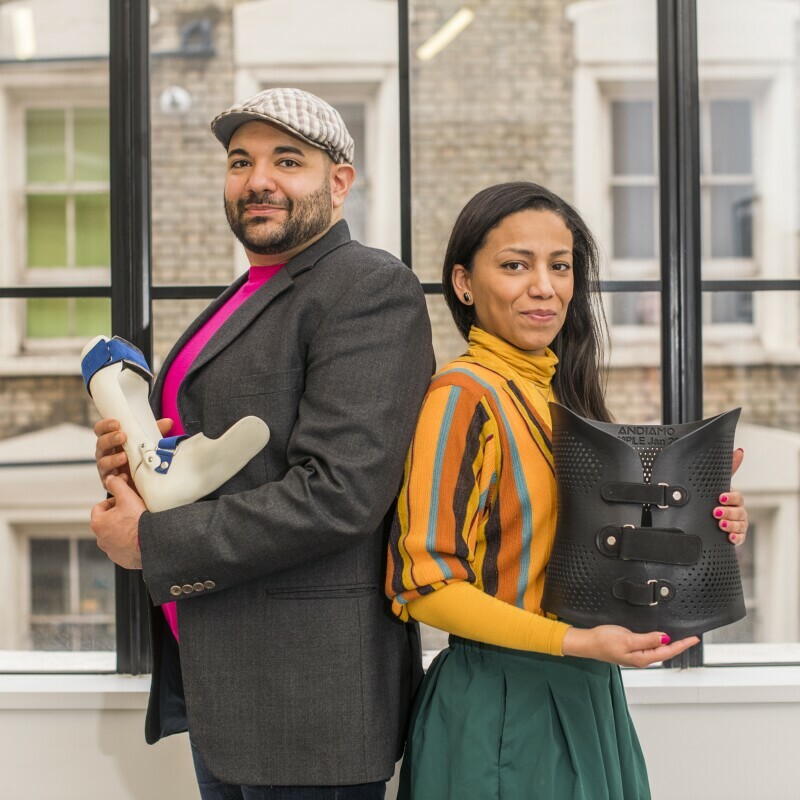 In 2017 Curiscope started selling online through Amazon Launchpad, a programme specifically designed to help startups bring their innovative products to market. “Our background was in advertising, video production and tech, but definitely not in sales! We felt like we came from a different world. 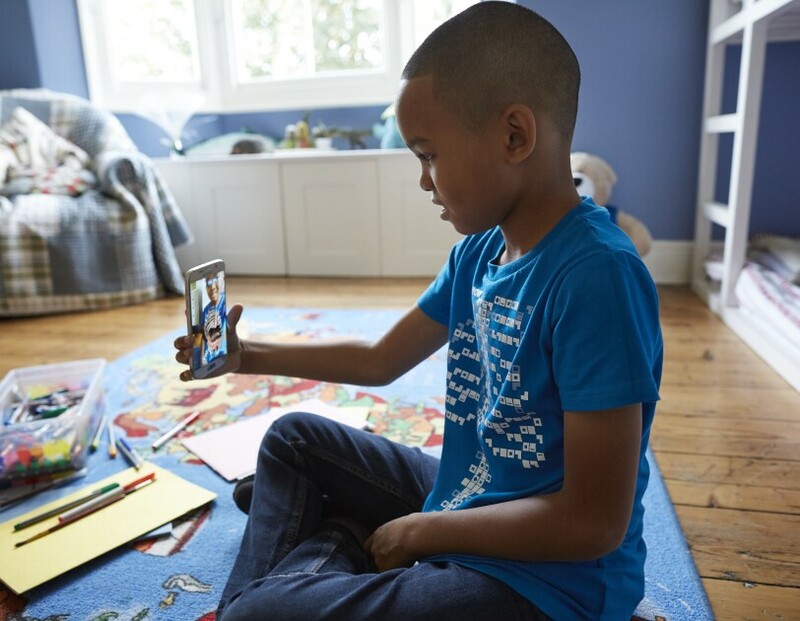 Launchpad bridged that gap for us: having an account manager and benefitting from Amazon’s reach was invaluable help.” Today, Amazon accounts for about 60% of Curiscope’s sales, with the t-shirts selling all over the world. 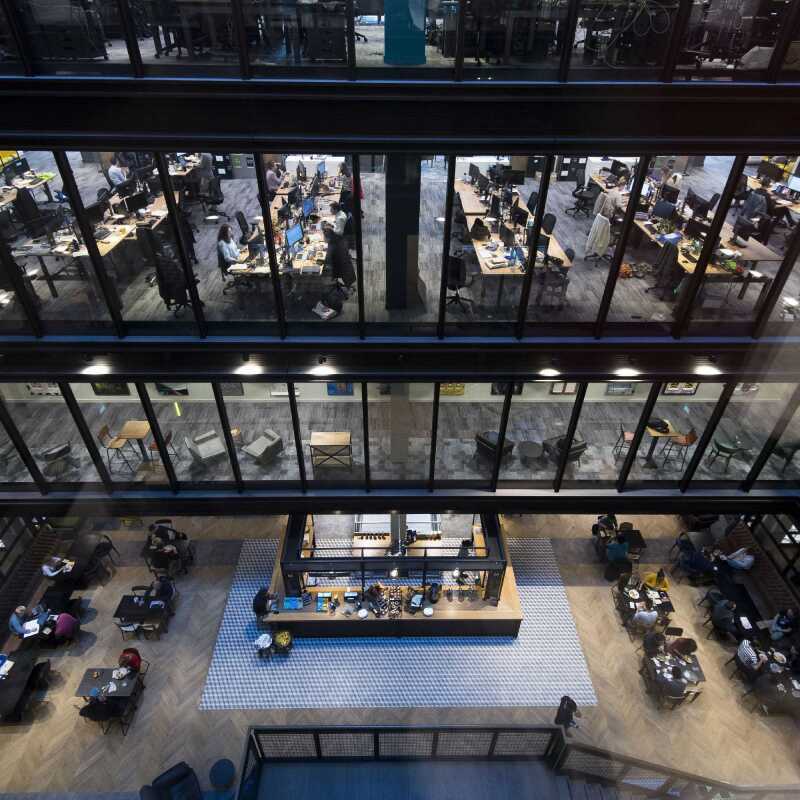 The startup has also established collaborations with institutions like the Science Museum of London to organise themed experiences and demos for children. But x-ray vision was just the beginning: next on Curiscope’s menu are time travel and teleportation, too. Their most recent invention is a VR-enhanced book, designed in cooperation with publisher Dorling Kindersley: “Imagine an interactive book that can take you back to the prehistoric era, or plunge you to the darkest depths of the ocean.” True to their vision, Ed and Ben will keep inventing and developing products to change the way people perceive the world. After all, plain old reality can be a lot more exciting than fiction, if you look at it with the right lens. It’s all in the augmented eye of the beholder.